I am blessed to be able to share with you what I have learned about saving money because I believe that as Christians, we should be wise spenders. Everything we have is a gift from God and how we spend our money should honor Him. We need to take control of our money. Being good stewards requires us to plan ahead and make good choices in how we use the gifts God has given us and being responsible with those gifts will be pleasing to Him. Luke 16:10 says “Whoever can be trusted with very little can also be trusted with much, and whoever is dishonest with very little will also be dishonest with much”. Like many homeschool families, my family struggles to make finances work on a single income and at times it can be is very difficult. As a family of five, I was budgeting over $200 a week on groceries, that is over 25% of my family’s total income. I was willing to try anything to help my family save money. A little over a year ago I was introduced to a new way of saving money, an idea that would change my family’s finances and prepare us for even the most difficult financial times. After 12 months of using this “new” system, on average I spend less than $70 every week on groceries and have a stockpile built up that can provide for my family for a month. Couponing has made a huge financial impact on my family and the blessing of security and peace that comes along with it is priceless. When making your grocery list, how many of you walk in to your kitchen and make a list of everything you are out of or almost out of and then head off to the grocery store? This is one of the biggest mistakes we make as shoppers and it is exactly what your neighborhood grocer wants you to do. In order to overcome this traditional shopping list, you must first learn the sales cycles of the items you are buying. The sales cycle for most items is six weeks. The price of products fluctuate greatly from week to week. For example, a box of cereal can go for over $4 to less than $1.50 in a six week cycle. With a traditional list, you are at the mercy of the grocer, if it is $4 the week you need it, then you are going to pay $4. Learn the sales cycles of the products you buy and you will never pay full price again! The idea is to purchase enough of that item at its lowest cost to get you through until it is at its lowest again. It takes time to learn the cycle of the products you buy, but once you do the savings will amaze you! One of the best ways to keep up with the sales cycles is to make a price book/list to record prices of frequently purchased items. When making your weekly shopping list, scan the ads and match up your coupons to the sale prices. For example, you see that your favorite cereal is on sale this week for $1.99 and you have a coupon valued at $1, you will get a box of cereal for 99 cents! If you had used this same coupon the week before, you would have paid $4.29 minus $1 coupon and it still would have cost you over $3! Meat and produce have fluctuating sales cycles as well, so this system works well for all of your grocery needs. You will also learn to plan your meals based on the weekly sales. Southern Savers This site is my favorite couponing website. Jenny has lists for the major grocery and drug store chains in the southeast, as well as Target. She scans all of the weekly ads and matches the sales up with coupons to help you find the best deals. You can print your list with coupon match-ups directly from her website. She also has guides to help you if you are new to couponing. Coupon Mom This site features many of the national chains and includes Wal-Mart. This site uses spreadsheets of the coupon/sale matchups and has a searchable database of most available coupons. This site also offers additional help if you are new to couponing. Newspaper Inserts The Atlanta Journal’s Sunday paper is available at most grocery stores on Saturday and Sunday. The smaller local papers have some, but not all of the inserts that are available in larger publications. Store Websites Check your favorite store’s website. 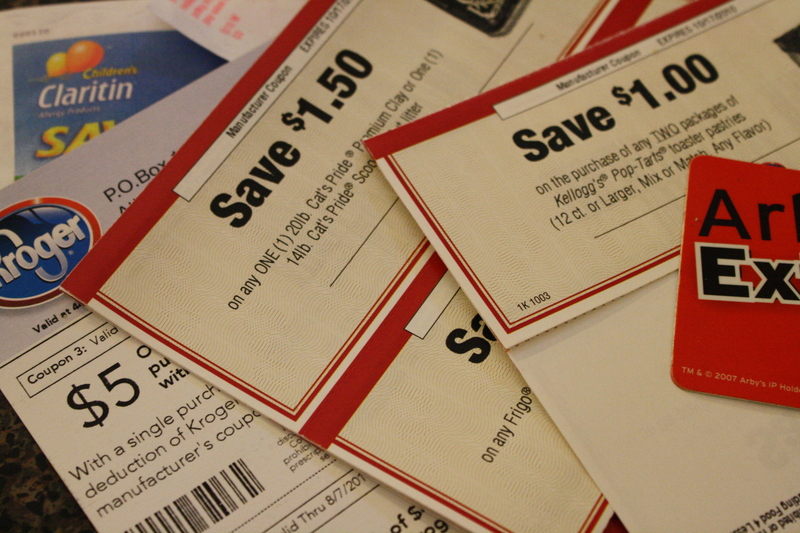 Many stores either have coupons available to print or links to other coupon sites. Magazines Many of the women’s magazines available have coupons throughout. All You is a great magazine for coupons. Manufacturers Visit the websites of your favorite products, many have email newsletters; you sign up and they send coupons to your email address. Some will even send you samples and coupons in the mail. Give them a call and ask for coupons, this will also get you on a mailing list to receive coupons and samples. Blinkies and Tear pads These are coupons placed throughout the store near products, either in the little red boxes that blink or on tear pads. Peelies These coupons are found on packages and are designed to “peel” off and use. This system of saving money is very overwhelming at first and takes some time to get used to, but you can do it! I promise if you invest the time and make a habit of using coupons, you will never have to pay full price again! Blinkies = coupon dispensers located near products. Peelies = coupons that are stuck to products. Tear Pad = coupons located near products. www.upromise.com – Sign up for an easy way to save money for college. http://www.iheartsavingmoney.com/ – A great website to keep you up on internet deals, coupons, rebates and samples. www.iheartpublix.com – A website dedicated to Publix deals. www.pgeverydaysolutions.com – This site has coupons, recipes, samples and more ways to stretch your budget! www.hillbillyhousewife.com – This is a great site for money-saving recipes and ideas on how to save money in your home. 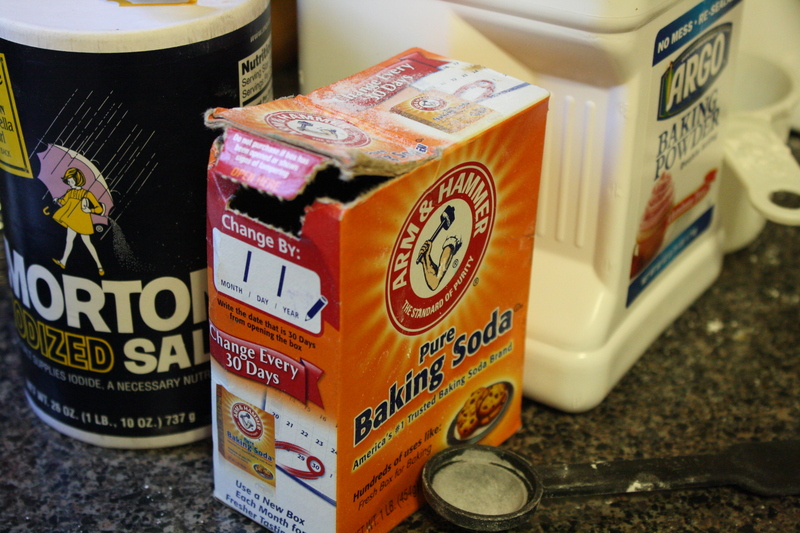 http://www.homesolutionsnews.us/offers.shtml – Special offers and coupons on home cleaning supplies. Simple and Delicious – Special offers and coupons for ConAgra Foods products. www.totallytarget.com – A website dedicated to Target deals. This is a wonderful post!!! It is Great to have all your tips, advice, etc. in one location!!! Thank you for sharing!! So glad you enjoyed it Angie, I enjoy sharing! Wonderful post! I’ve been couponing, but am not always consistent. I did see a fellow coupon user in Kroger with great organization. She had all her coupons in a big binder full of clear plastic baseball card keepers. She was able to flip to just the right place. I keep telling myself that I am going to make one of those binders, but I just haven’t gotten around to it. I use a plastic shoebox and small dividers for storage. Hey Trish! I finally made a binder…check out today’s Habits post and you can see how. It has made a great difference in organization!